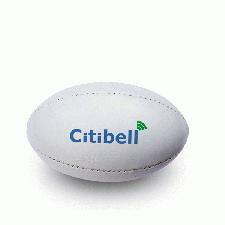 A great size ball for promoting your business, the Size 0 Promotional Rugby Balls are perfect for promoting your business or club in mass during the Rugby World Cup period. This promotional item can be finished in either Gloss or Satin PVC with up to 10 spot colours printed to make your logo really pop! A small branded product but brilliant for mass promotion, this ensures a great level of brand exposure to get your message out there. Why not take a look at our other Rugby World Cup products and get into the spirit! For more information or enquiries on our Promotional Rugby Balls, take a moment to fill in the form and we will get straight back to you.